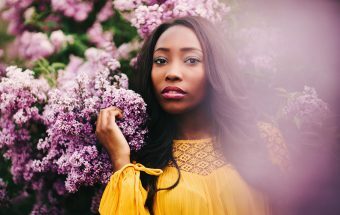 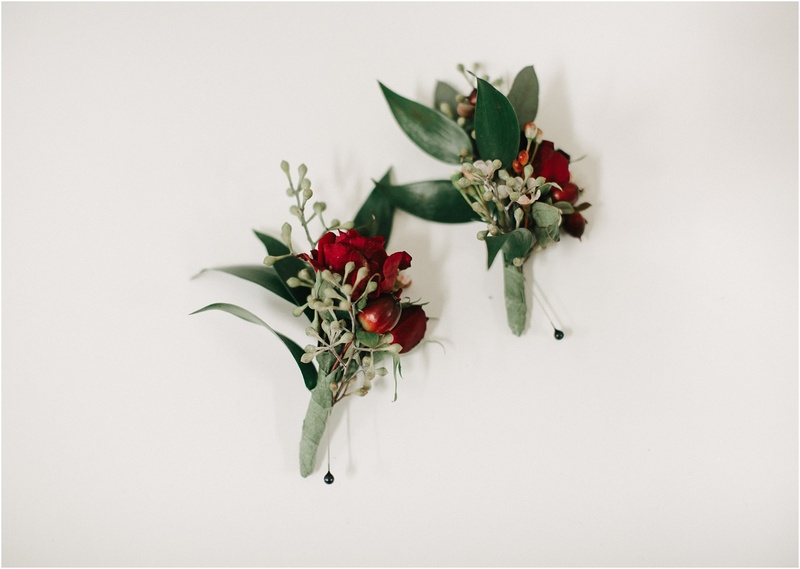 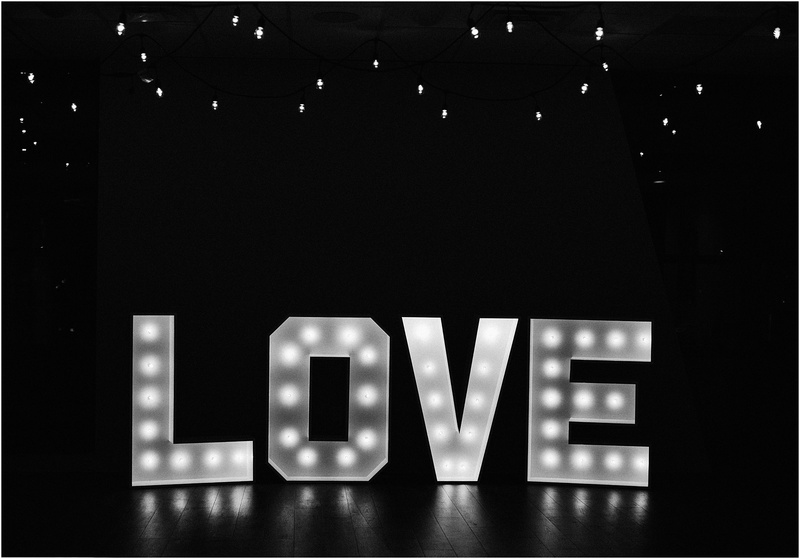 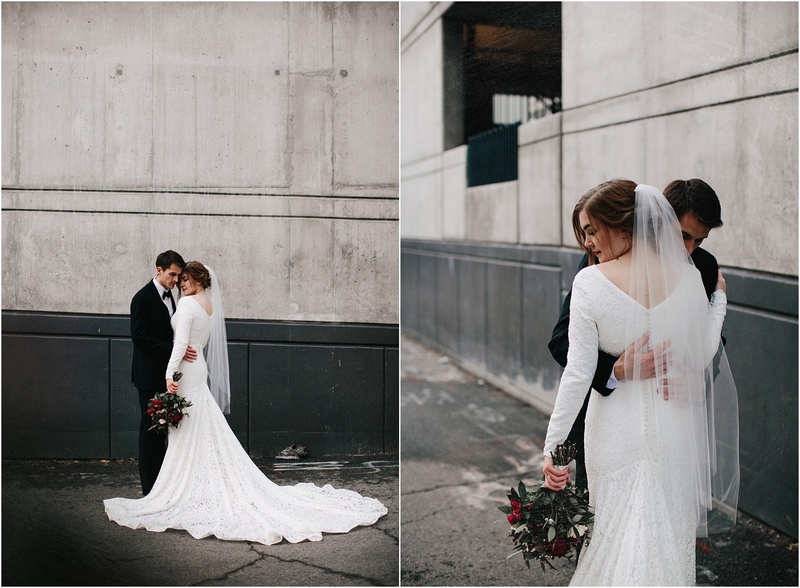 I haven’t blogged in forever, so hopefully this is the start of me catching up! 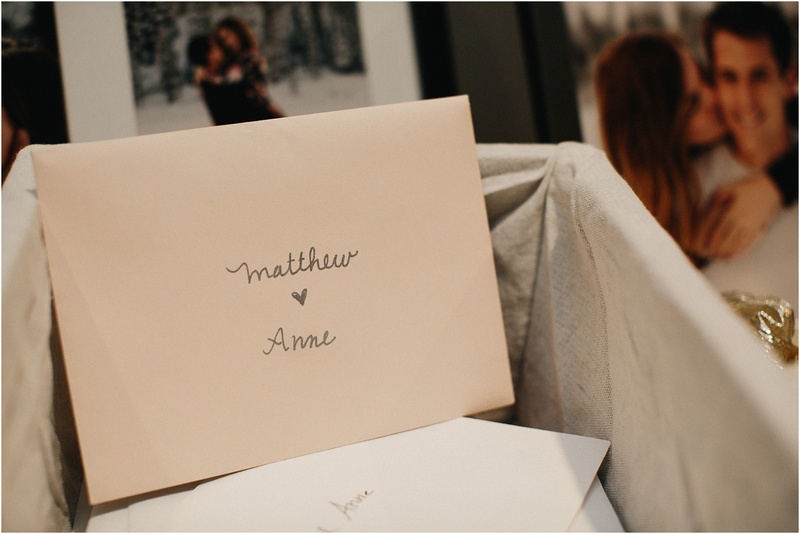 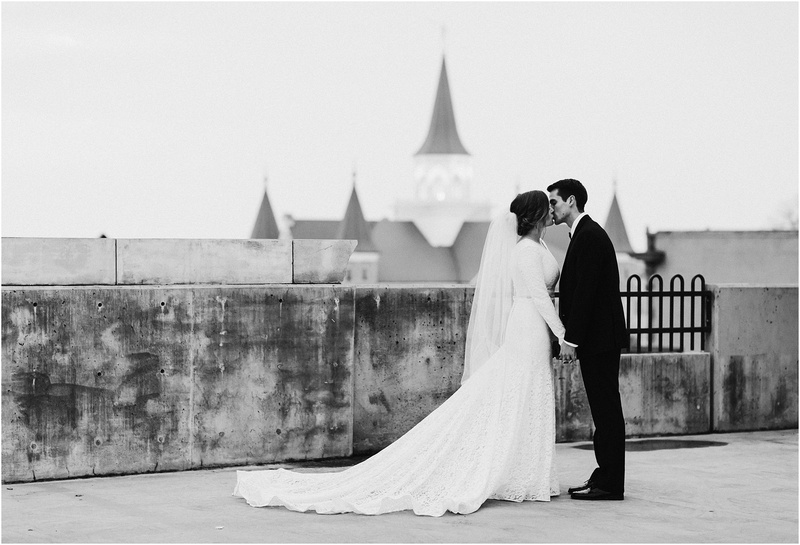 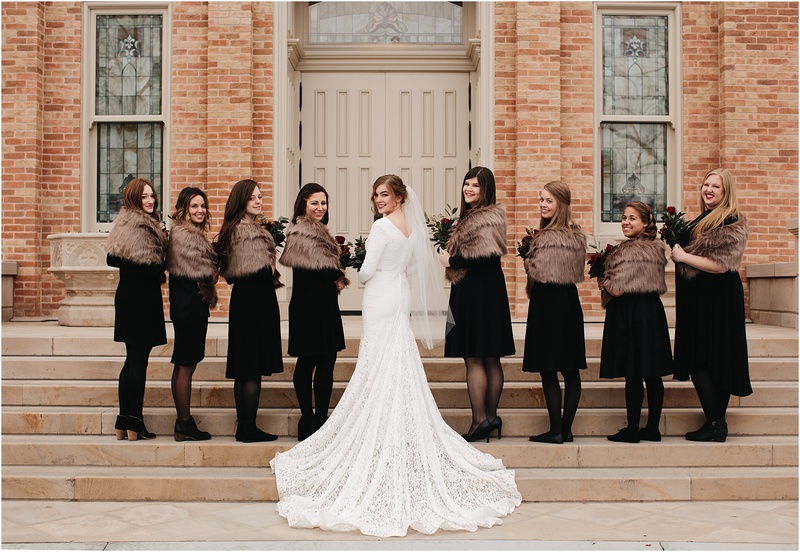 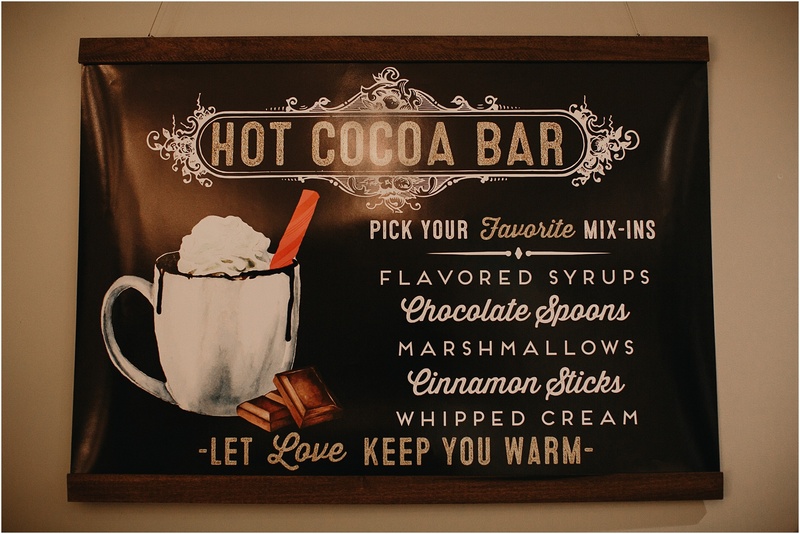 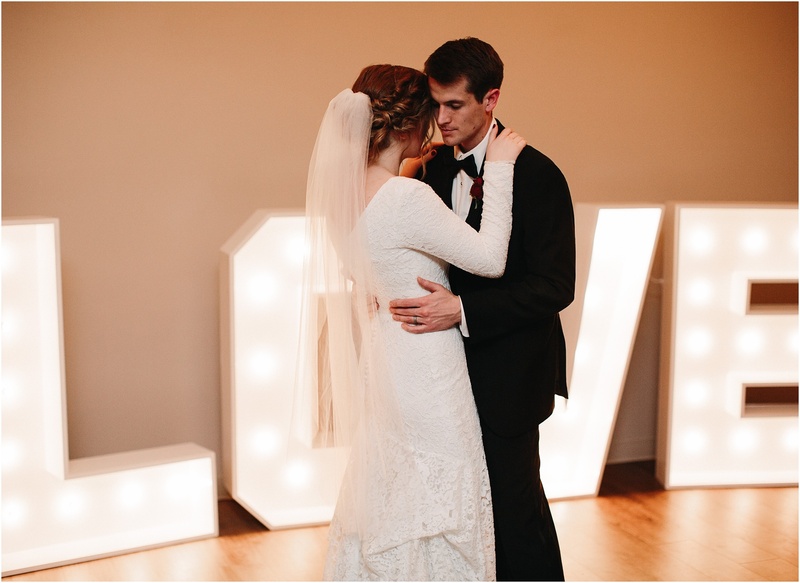 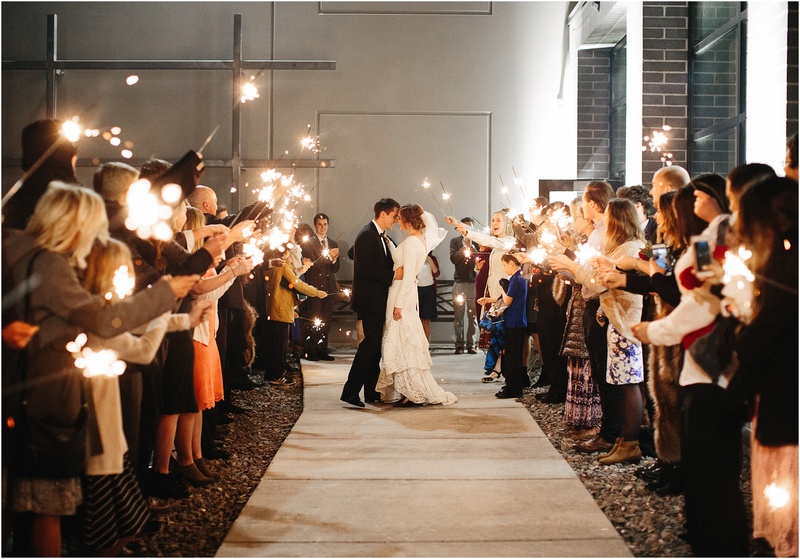 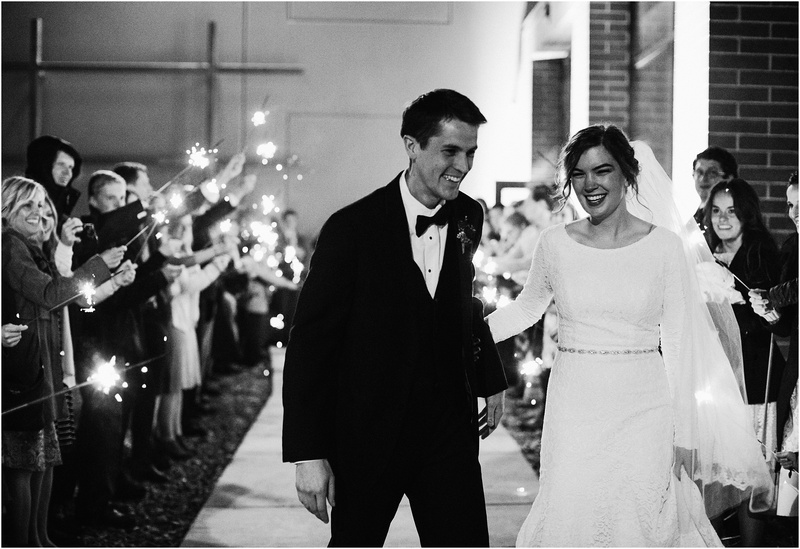 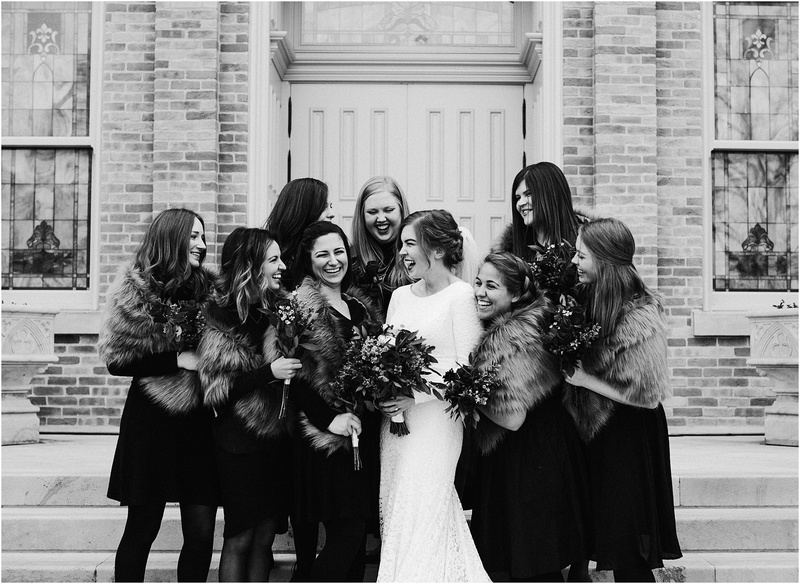 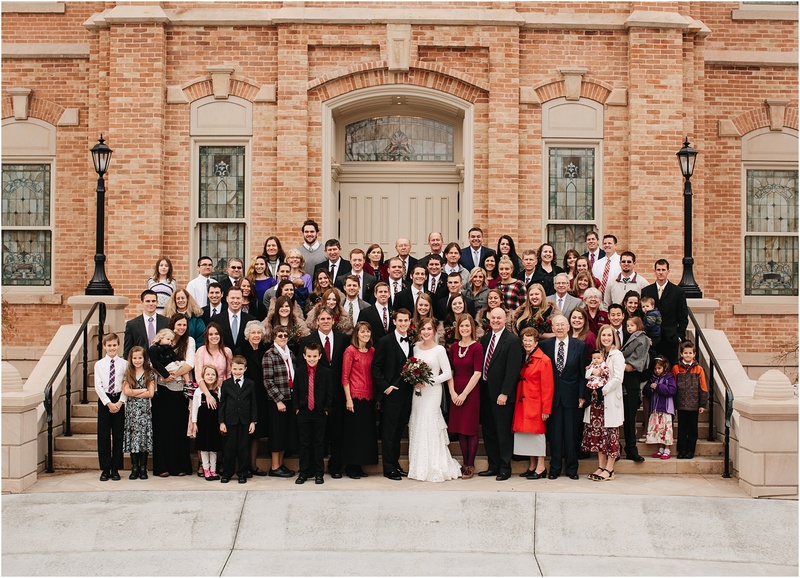 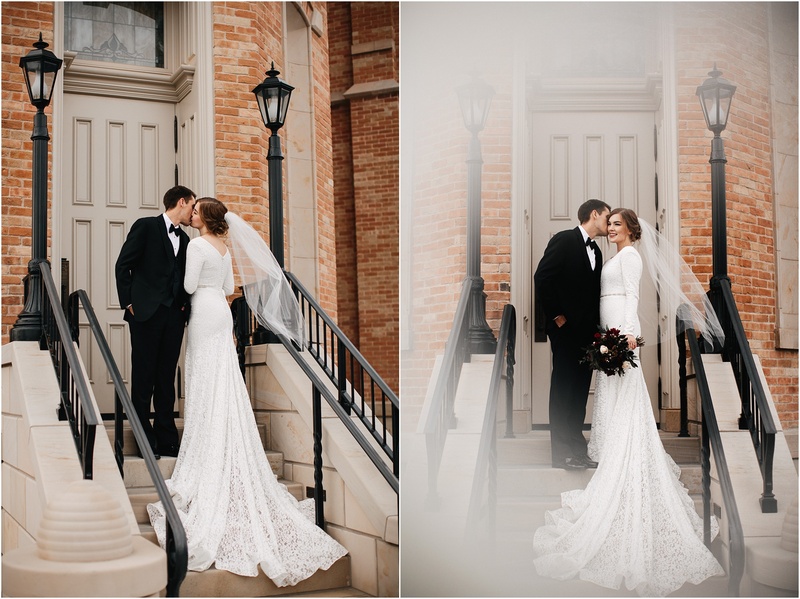 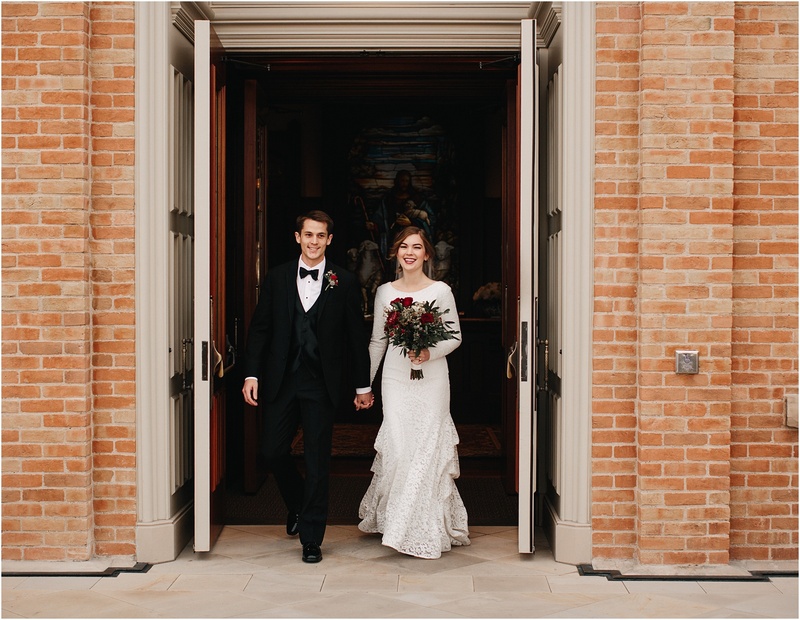 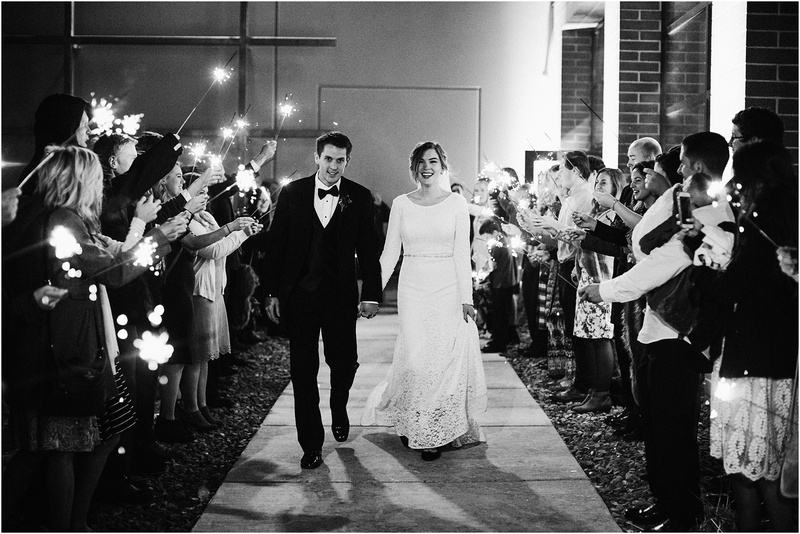 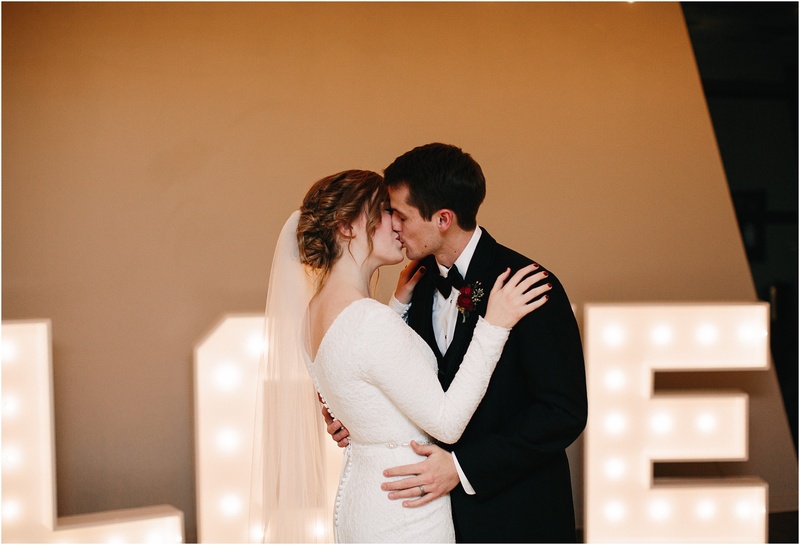 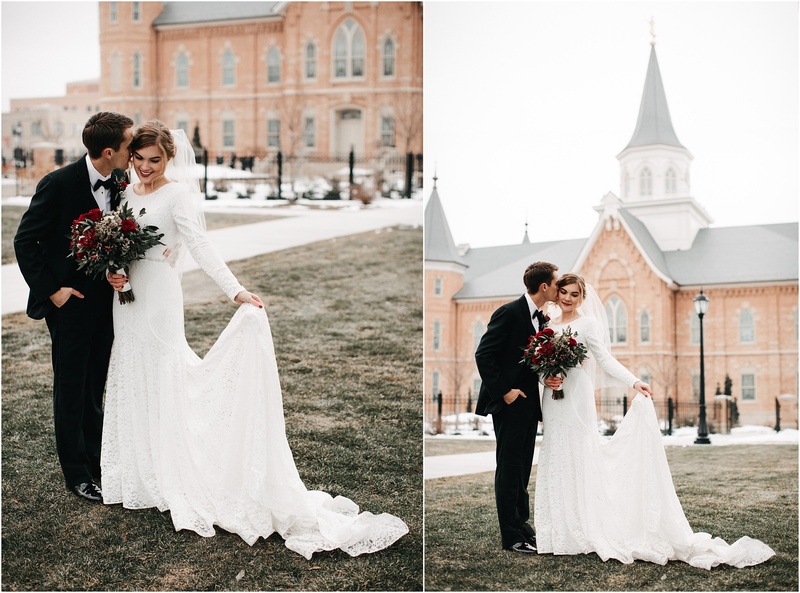 I absolutely loved working with Anne and Matt! 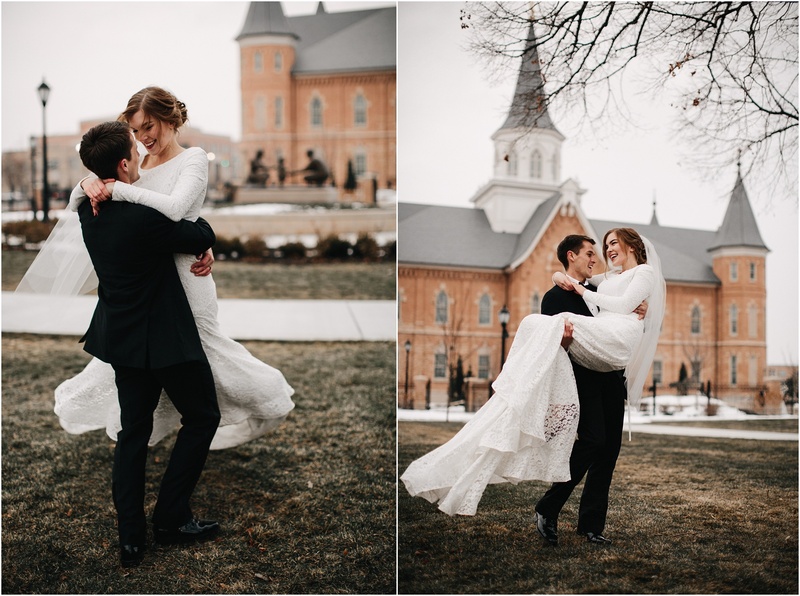 It was freezing for all three of their photoshoots, but these two stuck by me through all of my crazy ideas! 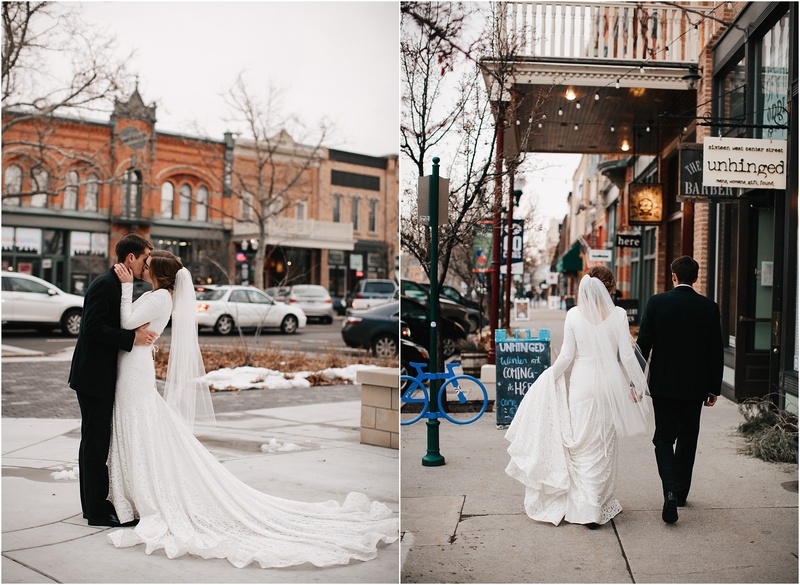 I really appreciate it when my couples are willing to brave the elements and are up for a little adventure in order to make some magic! 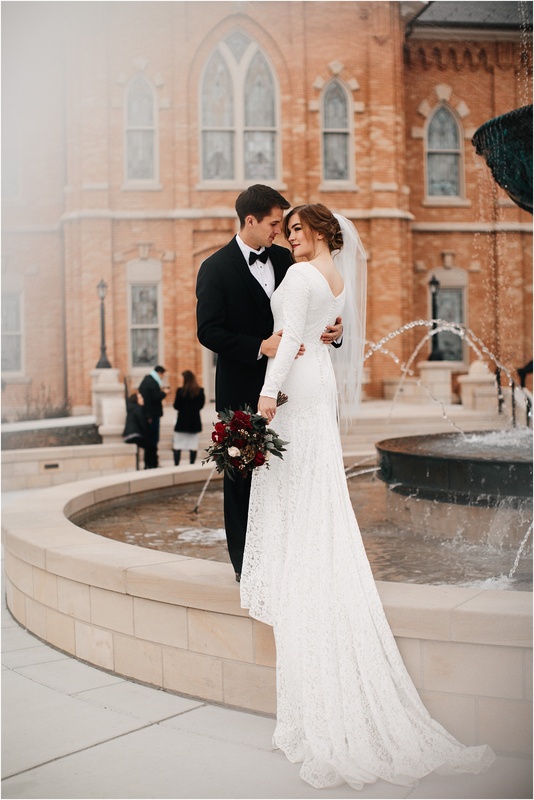 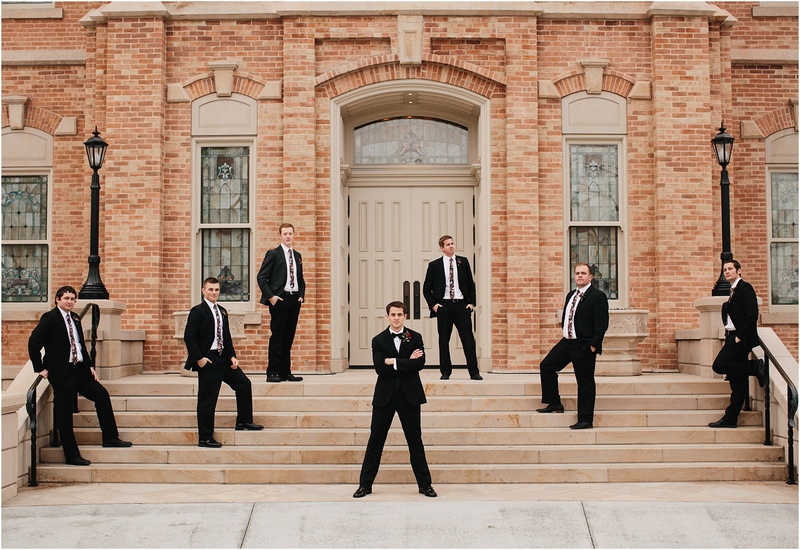 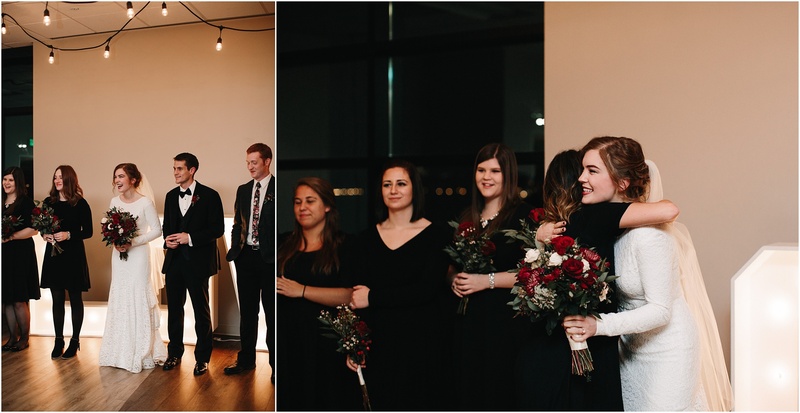 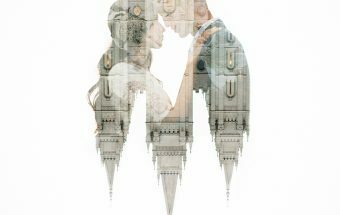 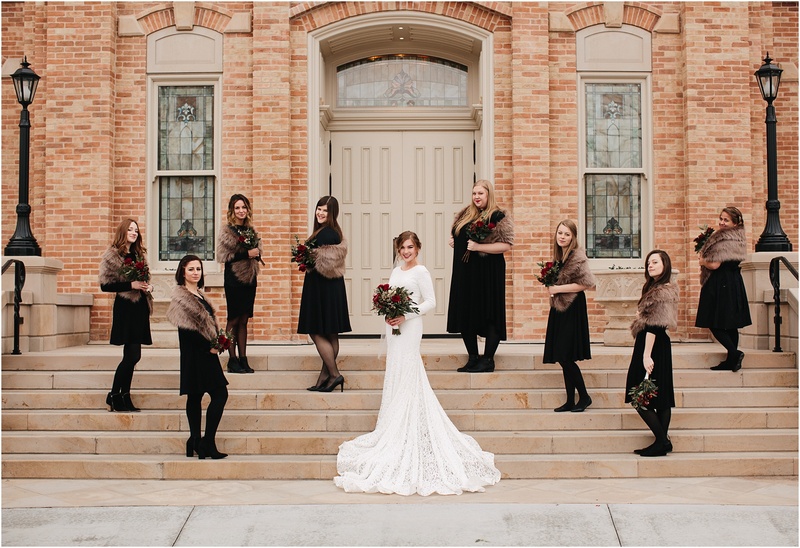 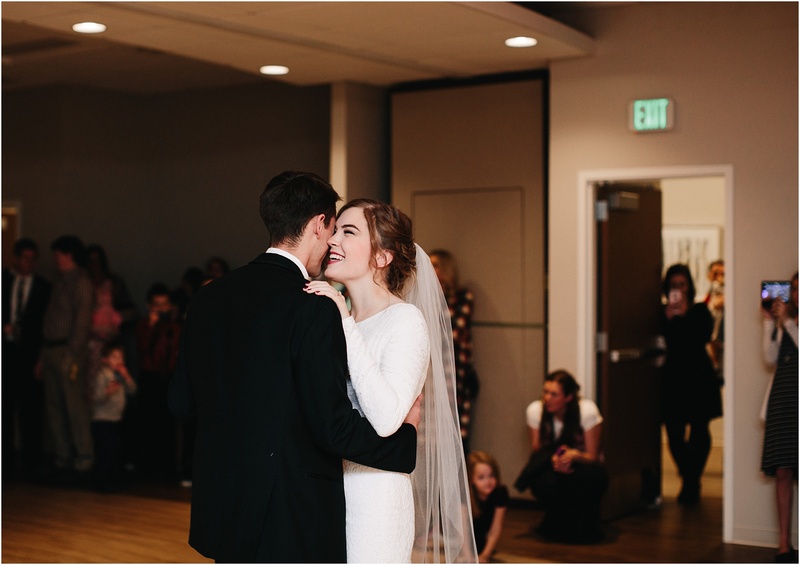 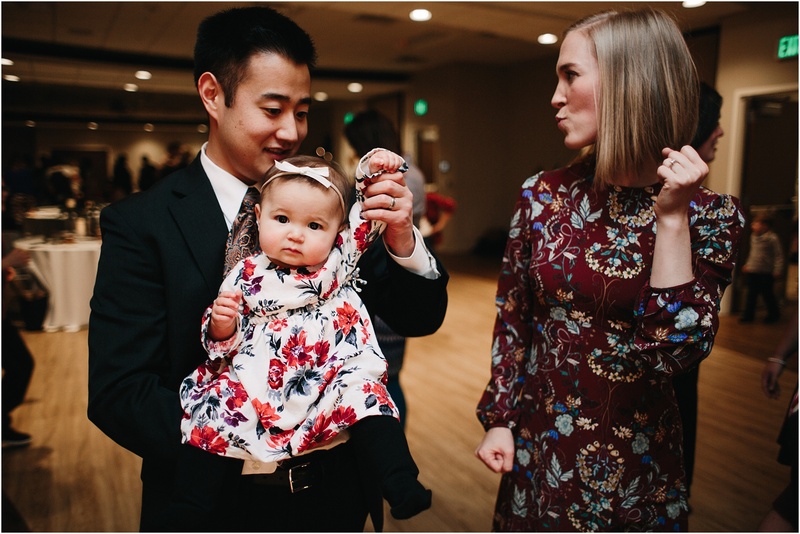 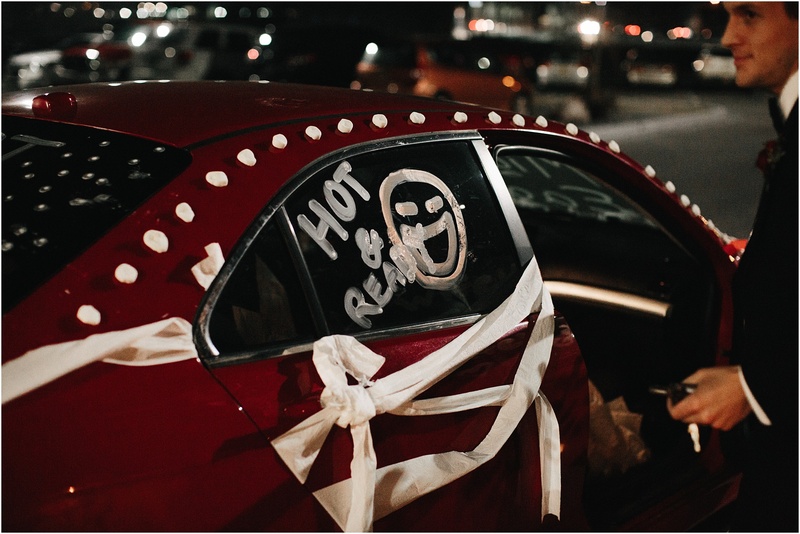 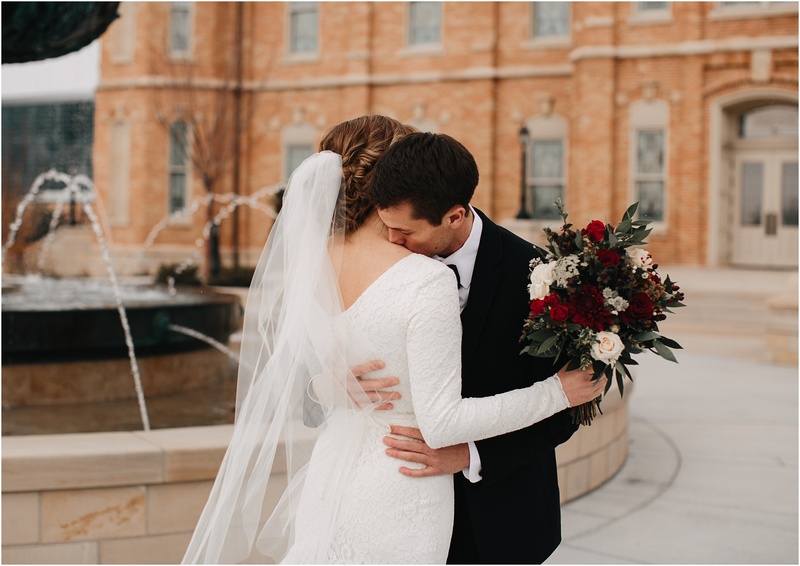 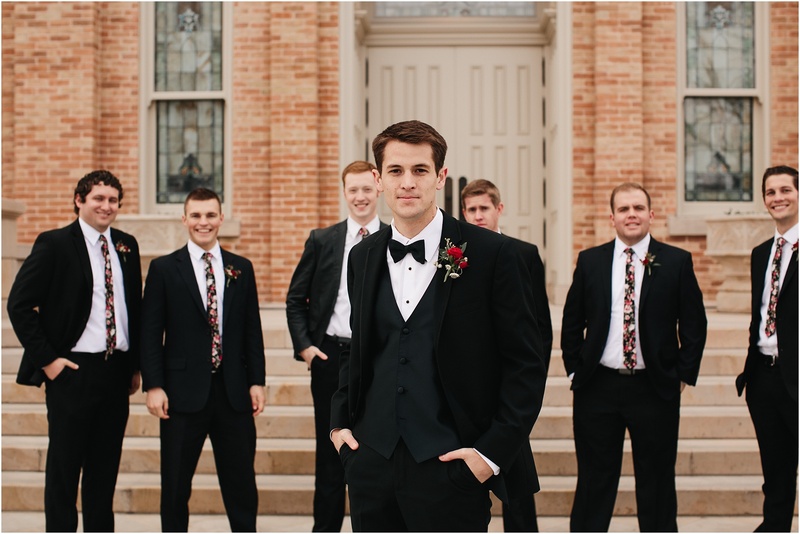 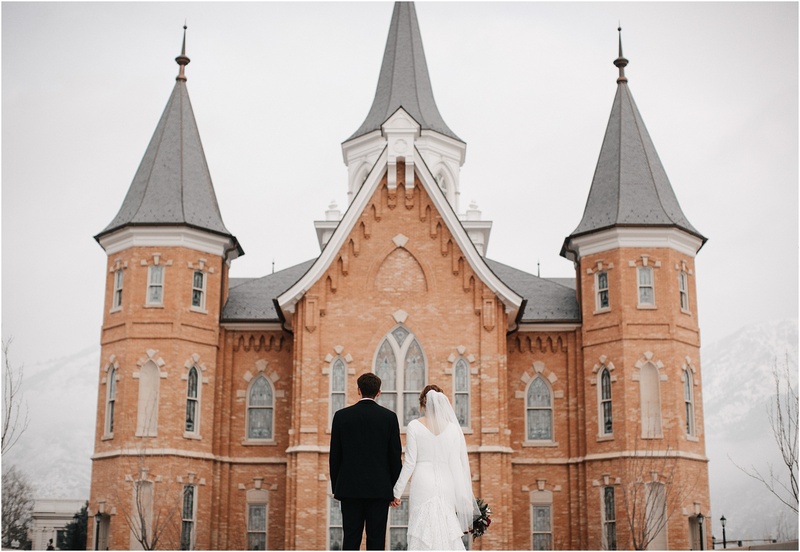 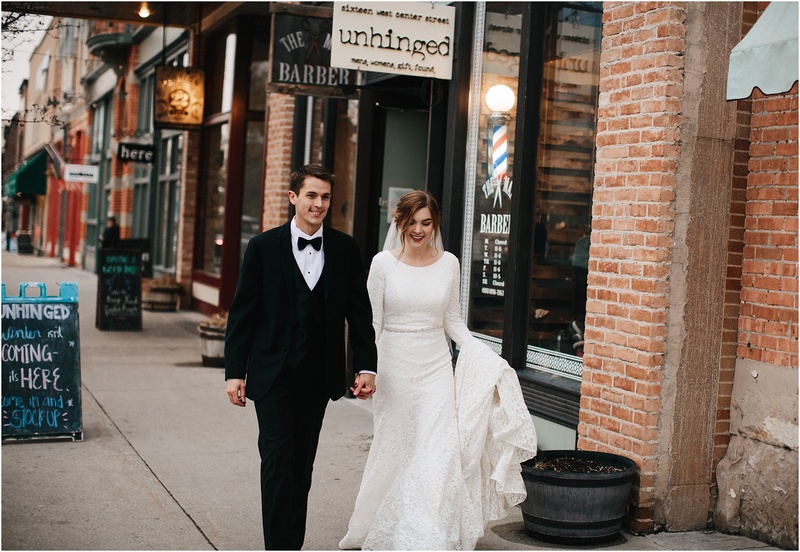 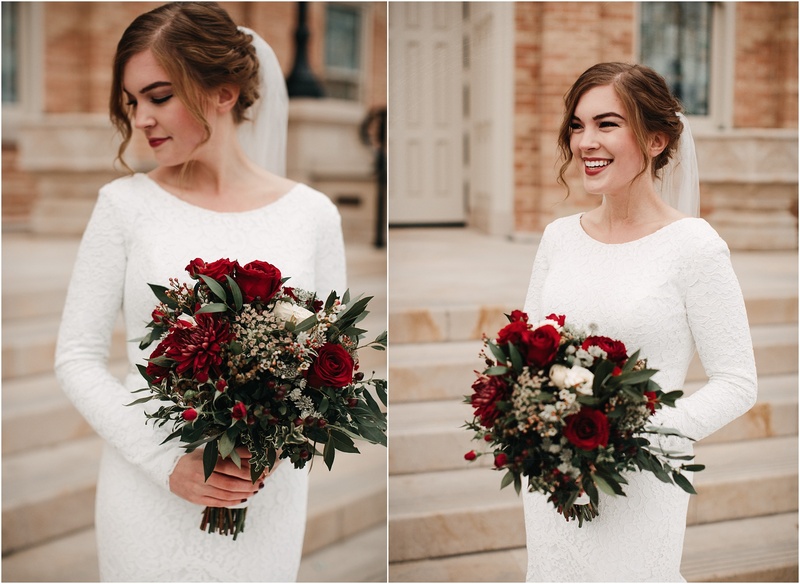 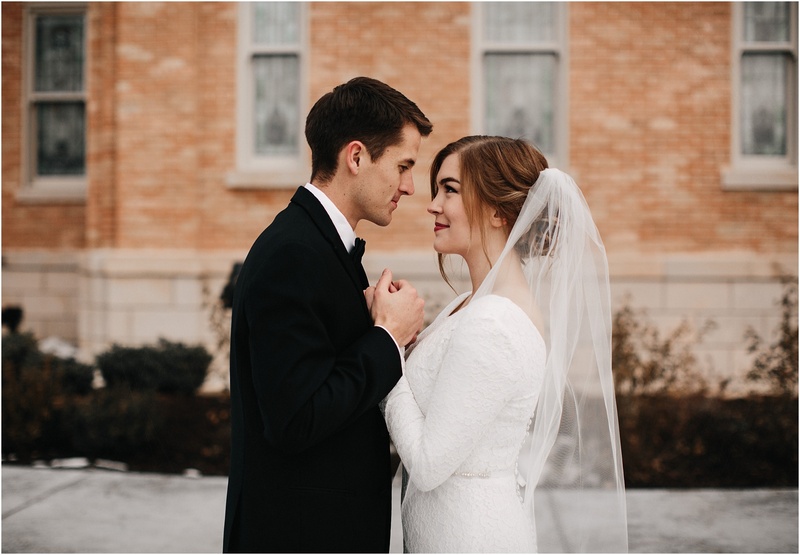 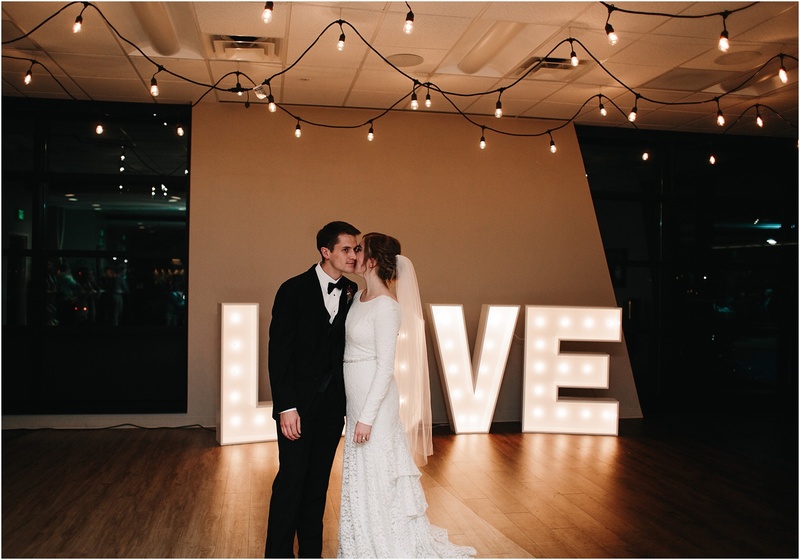 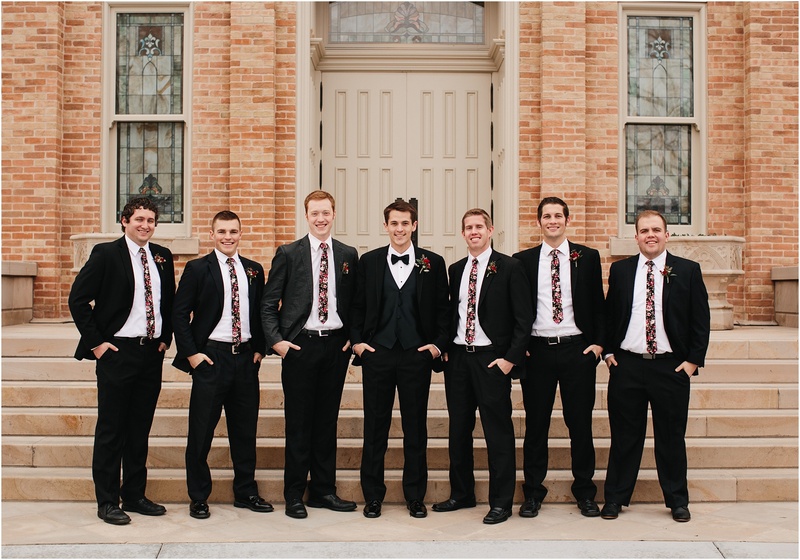 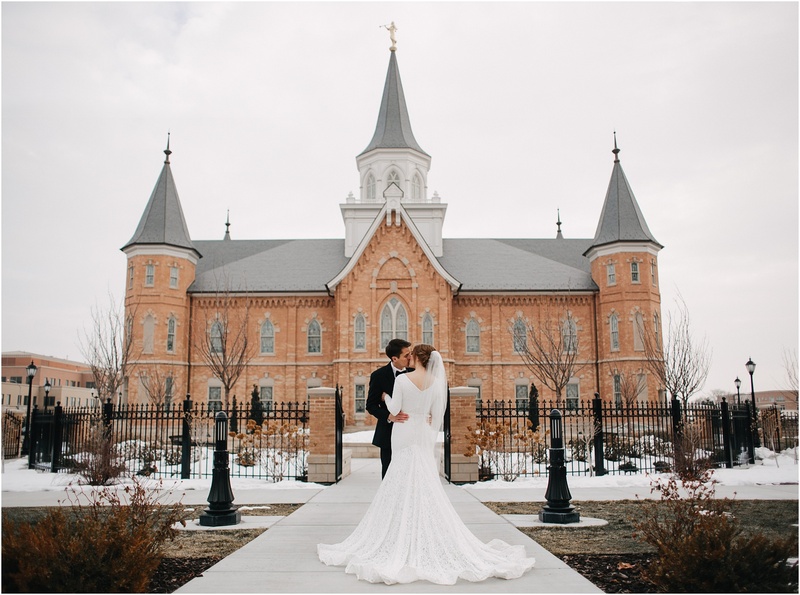 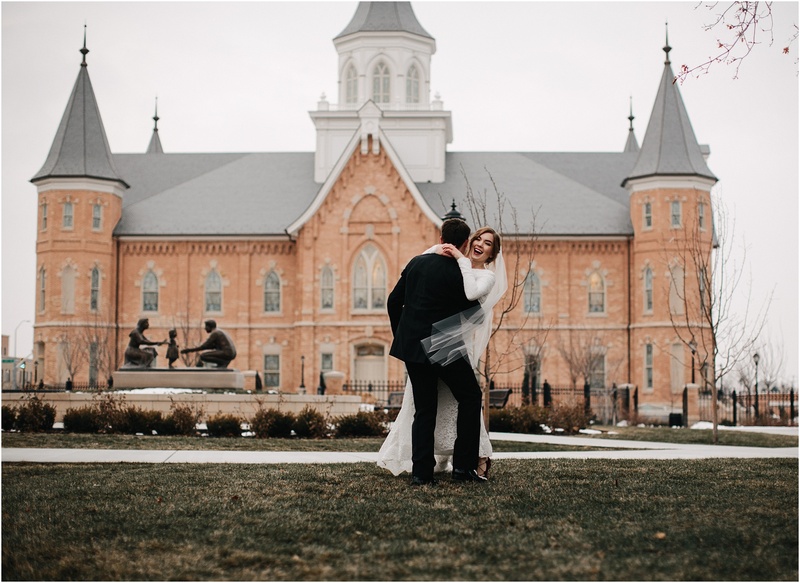 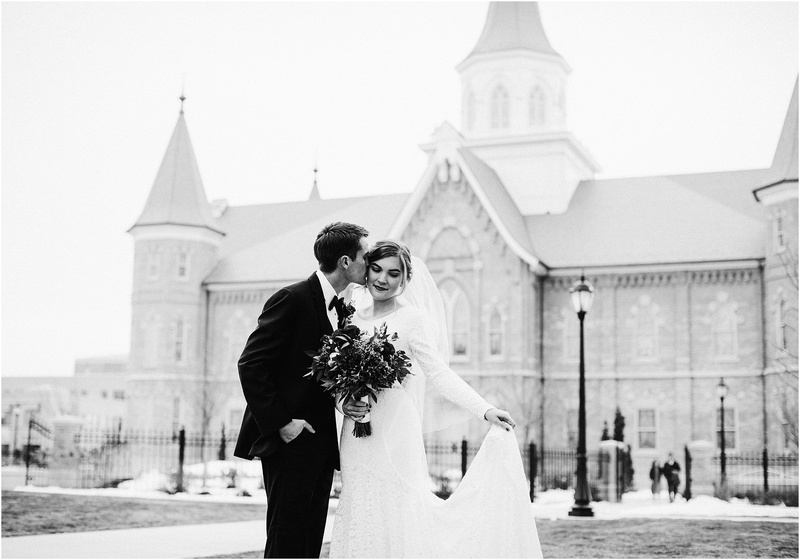 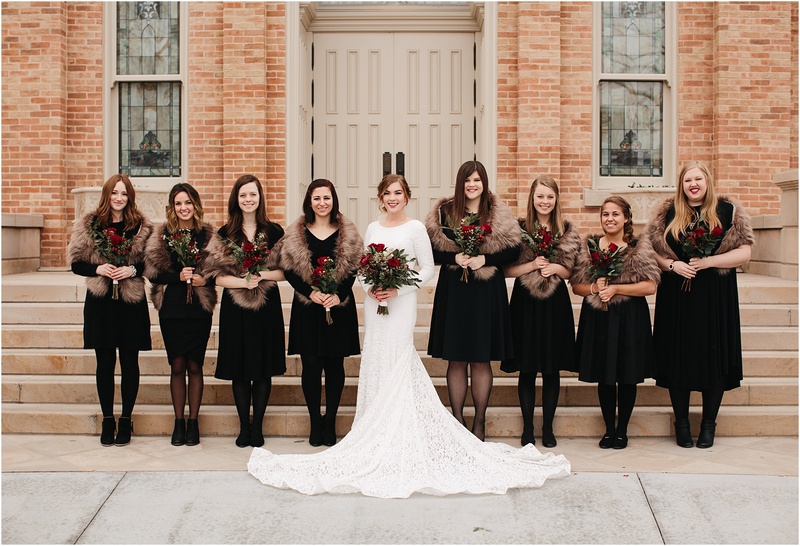 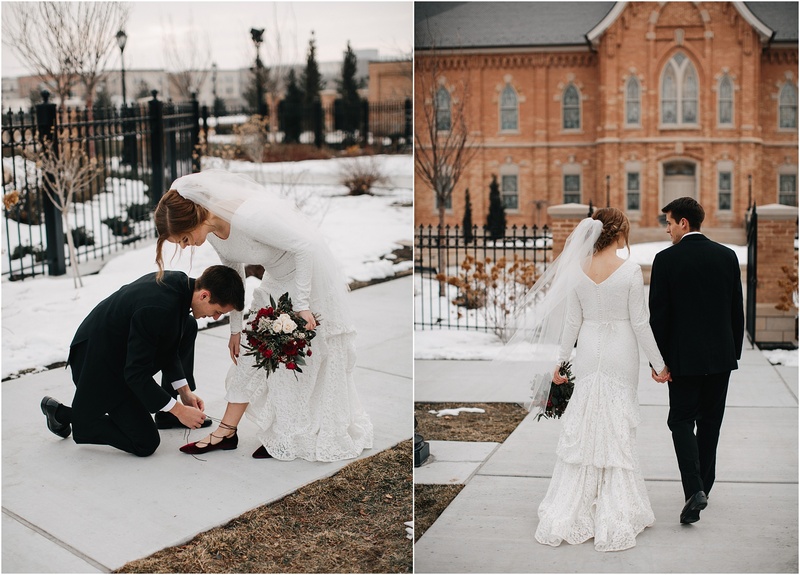 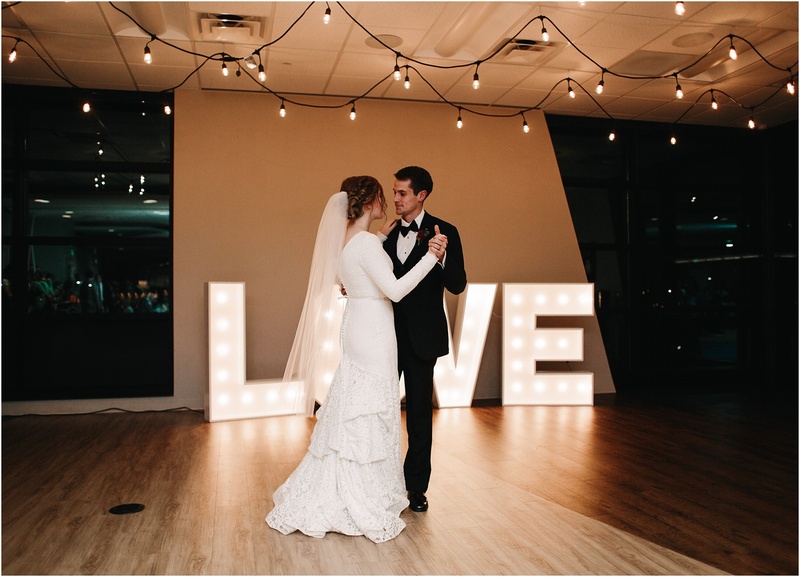 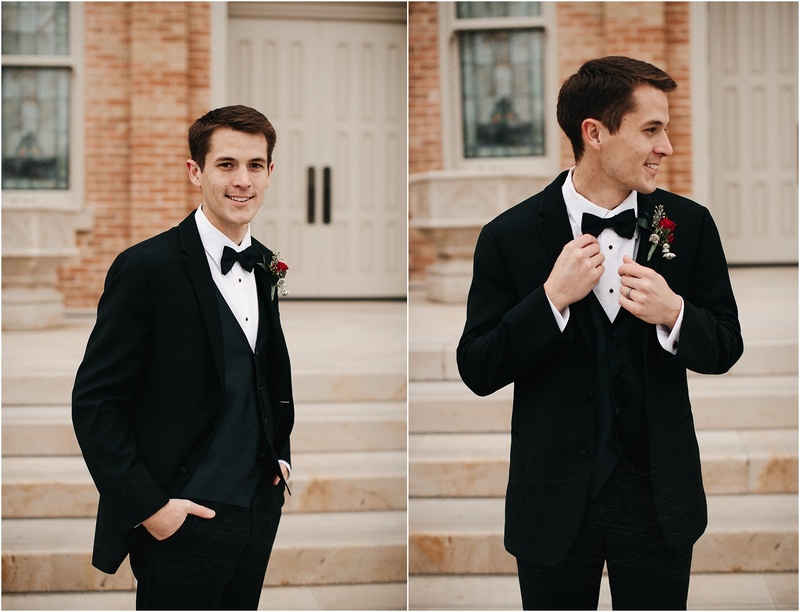 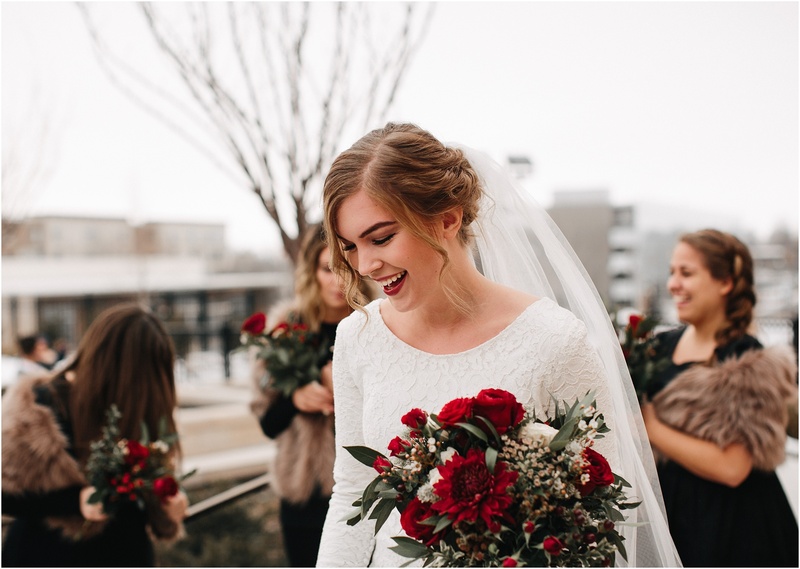 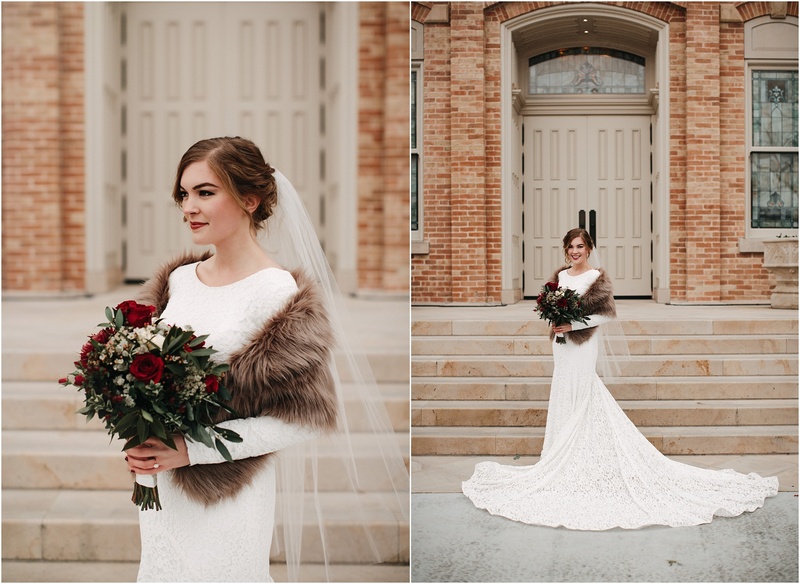 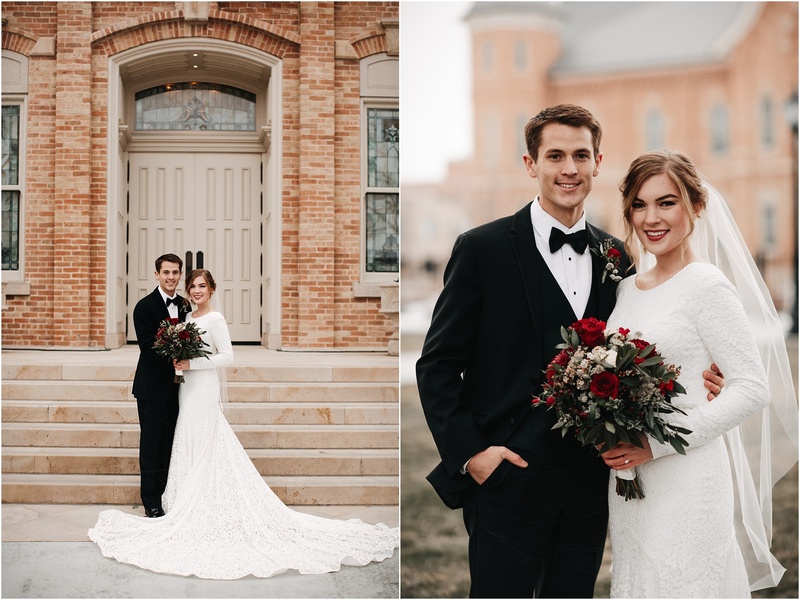 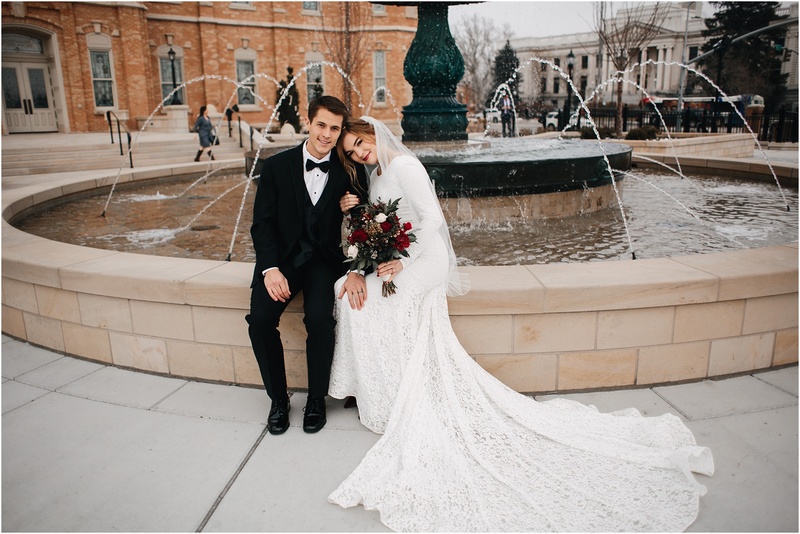 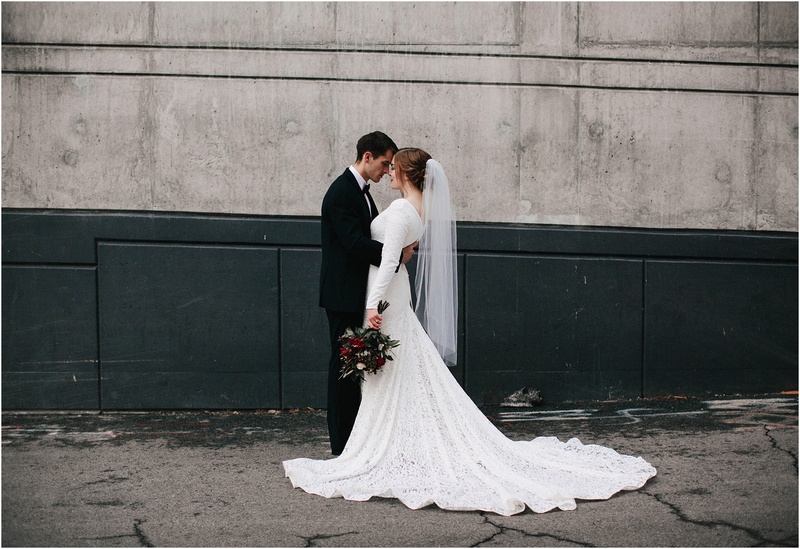 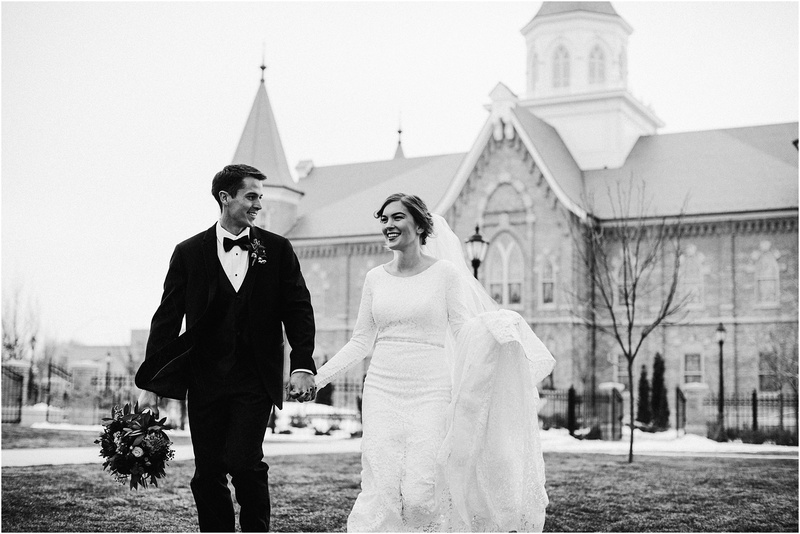 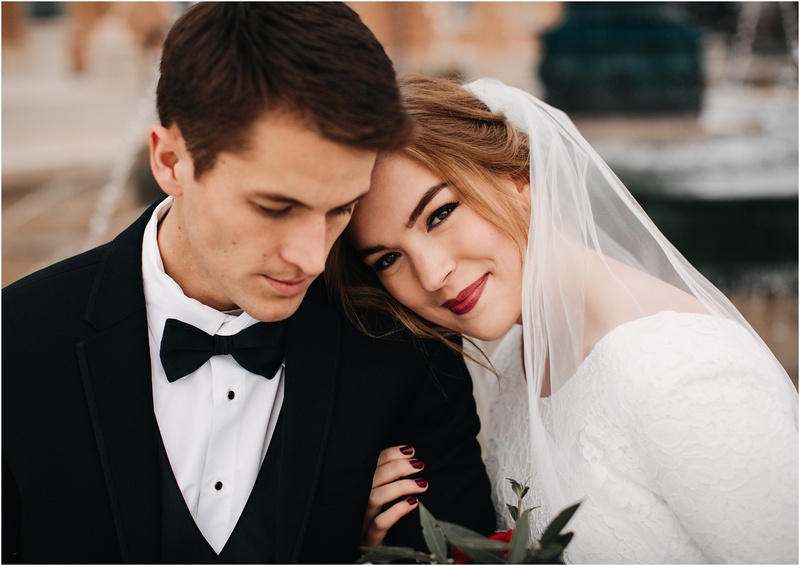 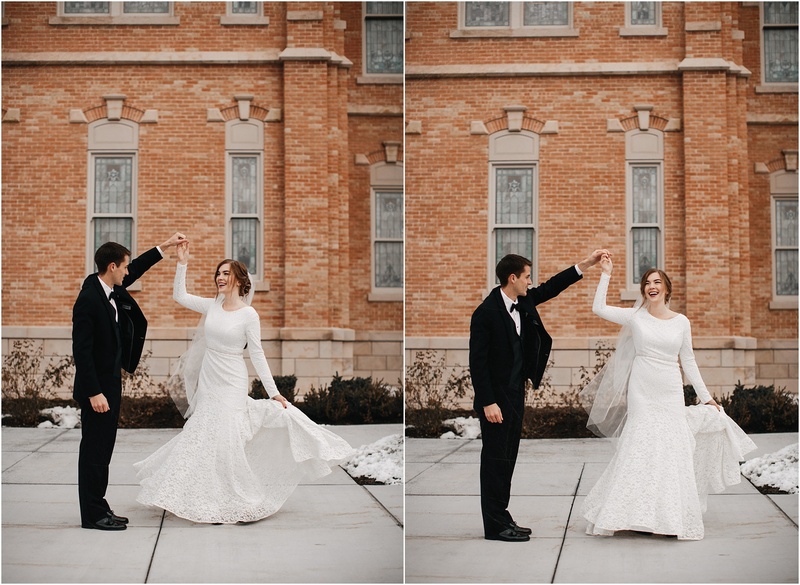 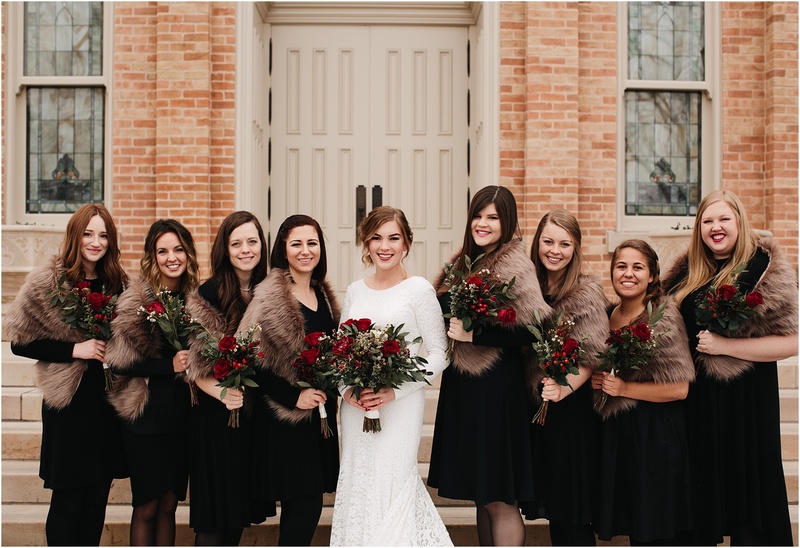 We shot their first look and bridal/formal session the day before their wedding at the Provo City Center Temple and then wandered around downtown Provo and into a parking garage for some different views of the temple! 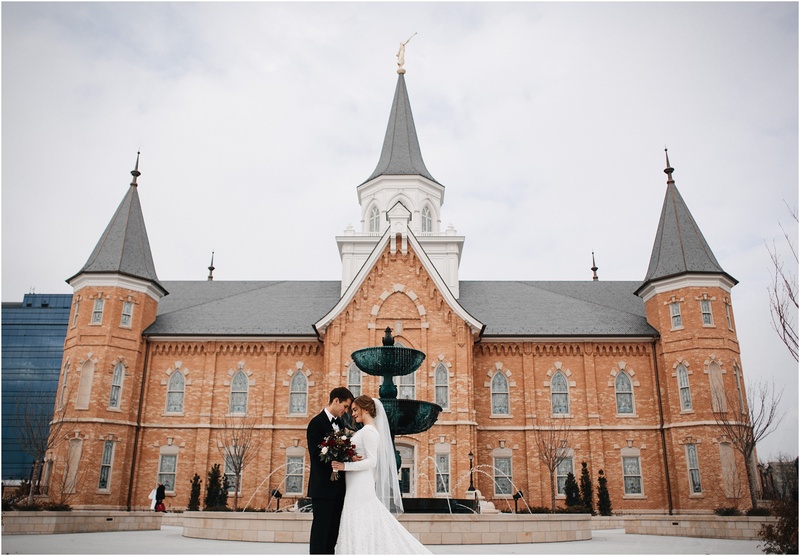 This was my first time shooting a wedding at this temple and I thought it was so beautiful and different from the others I have shot at. 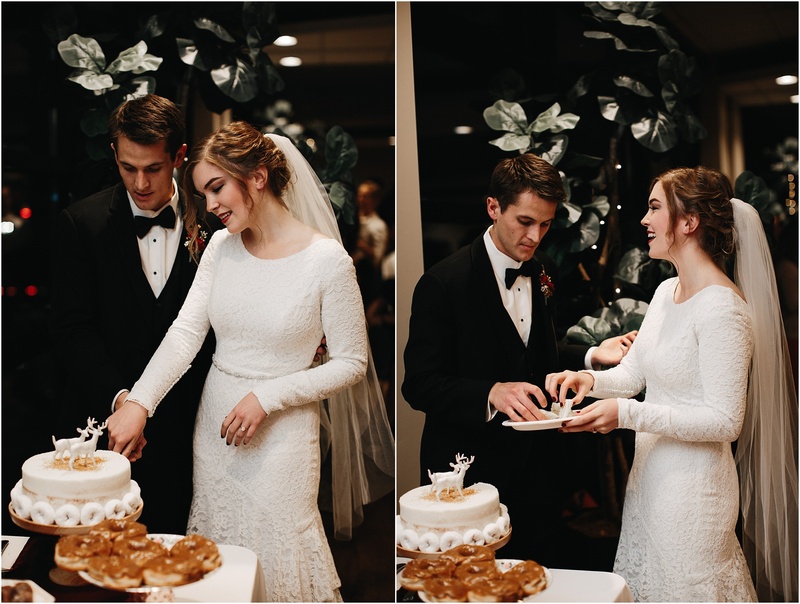 After the temple photos we ended the night at the reception held at the Eleve Event Center in Pleasant Grove. 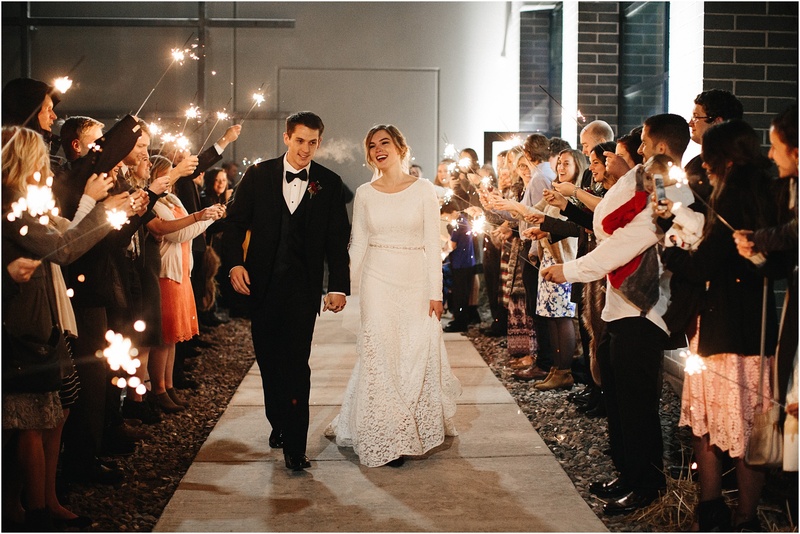 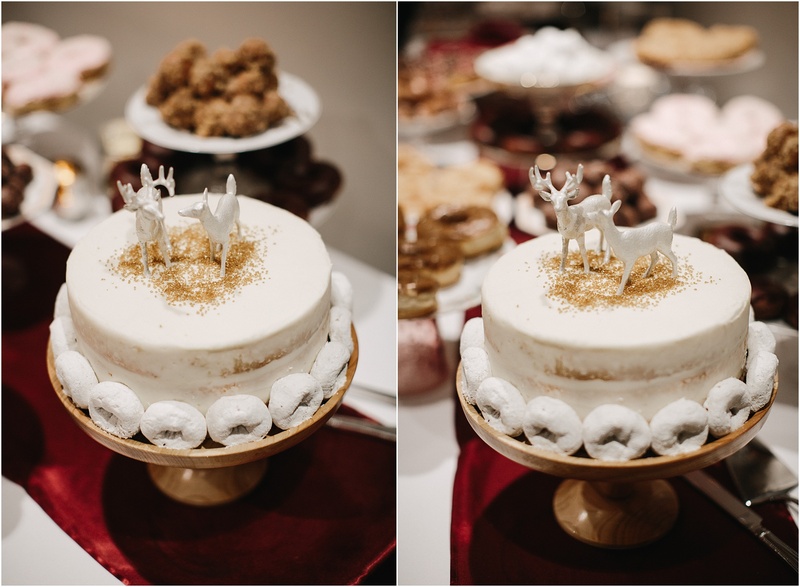 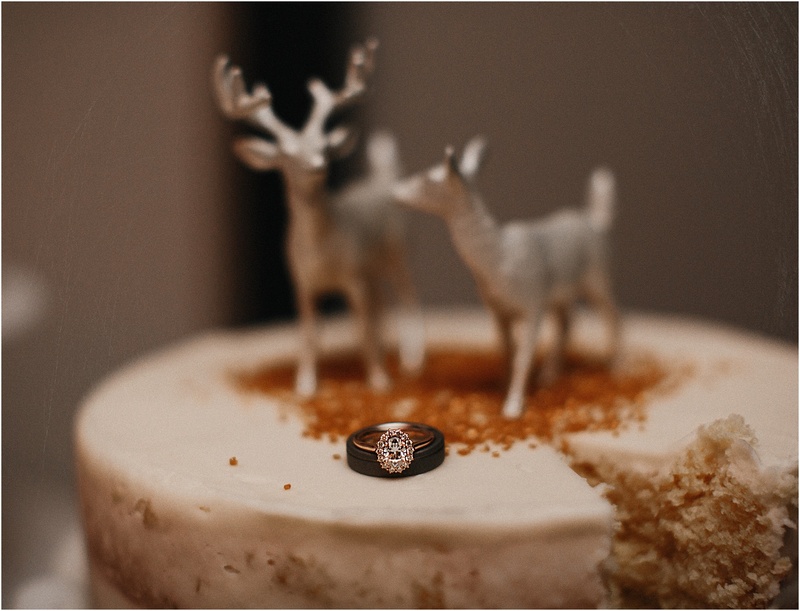 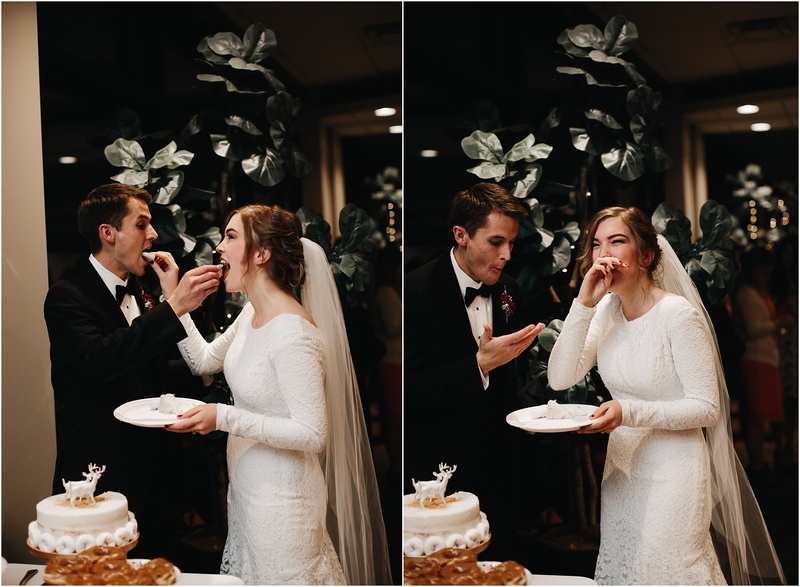 First of all, they had pizza AND donuts at this reception, which was amazing! 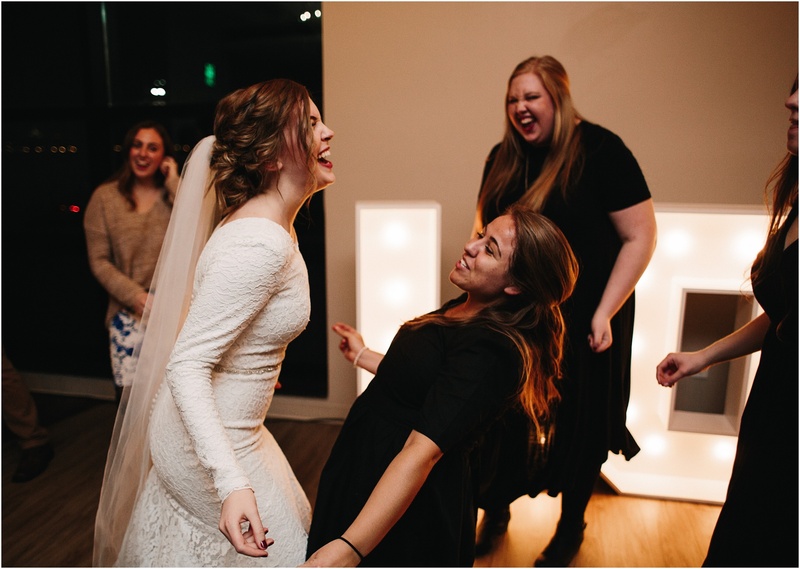 Everyone was so kind and not afraid to let loose and have a little fun! 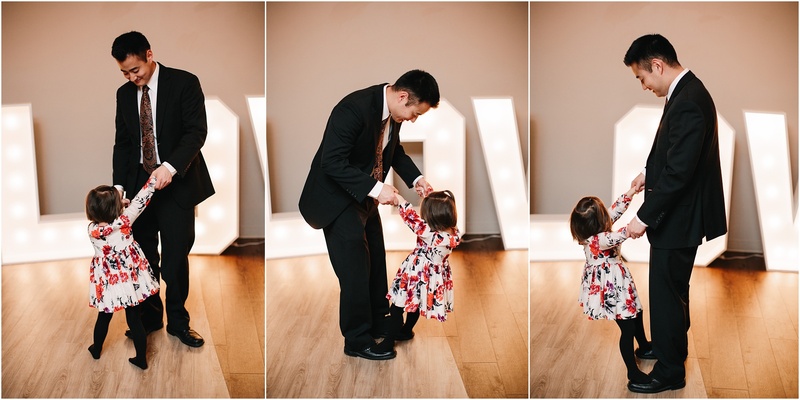 This made for some pretty amazing dance shots! 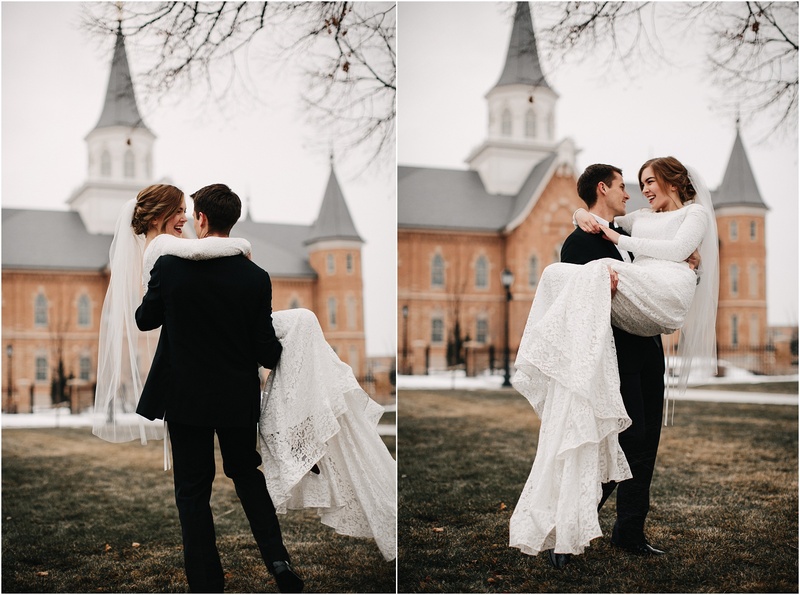 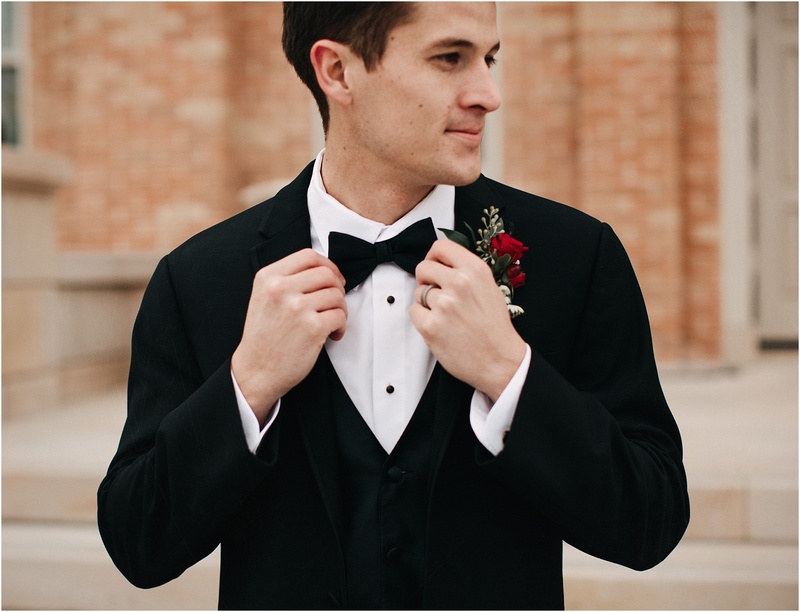 I am in love with how all the photos turned out so I may have posted too many, buuut I just couldn’t help it! 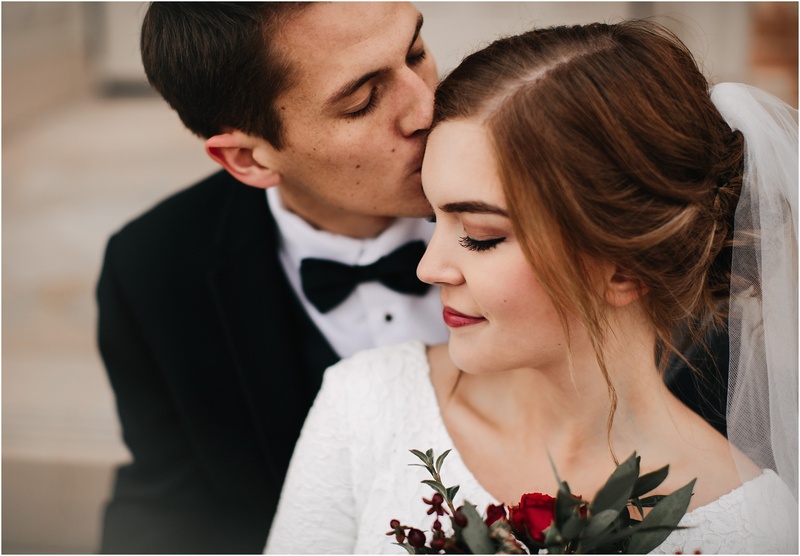 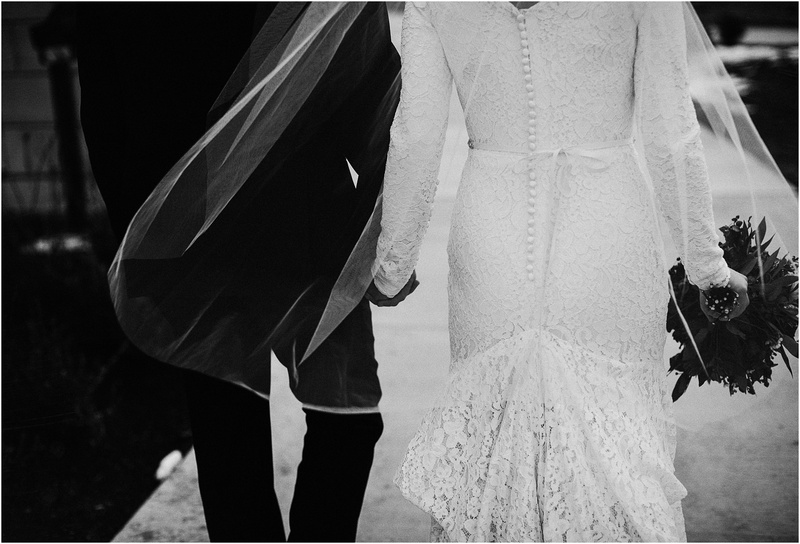 When I was photographing them I could just tell they knew each other so well and loved each other so much! 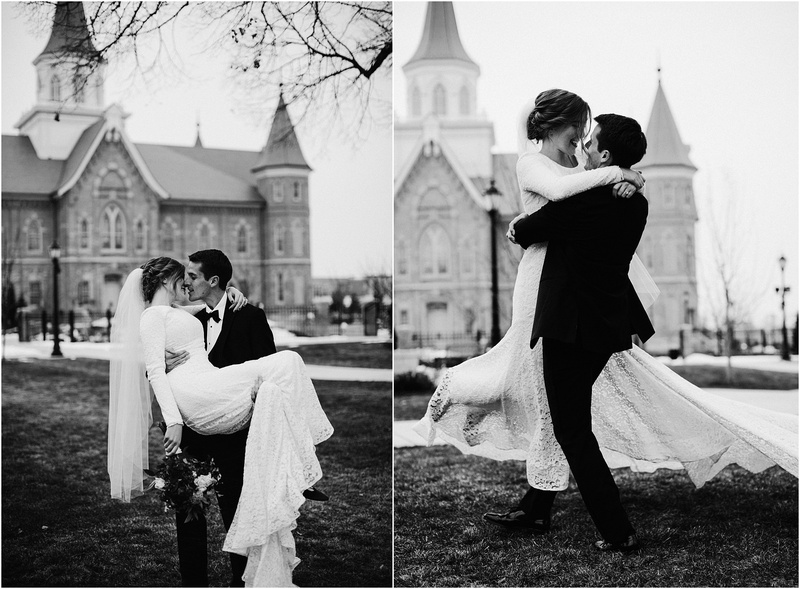 Their love story is just too cute, and it just makes me think how funny and unexpected life can be sometimes! 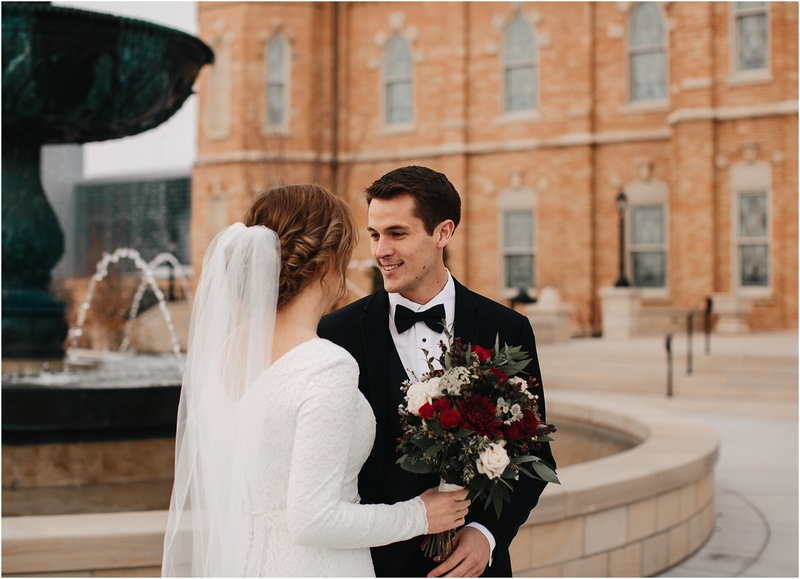 I’m so thankful these two asked me to be a part of their special day! 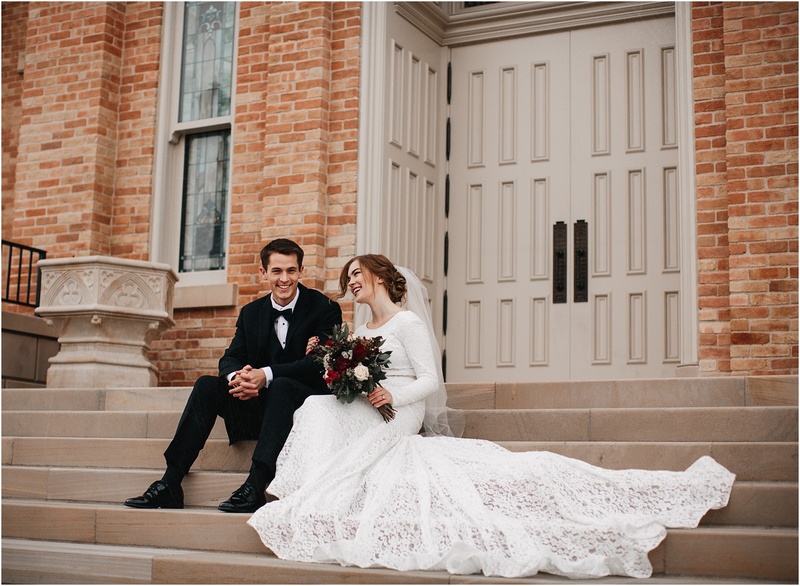 I can’t believe it’s already been over a year since these two tied the knot, so here is to many more to come!